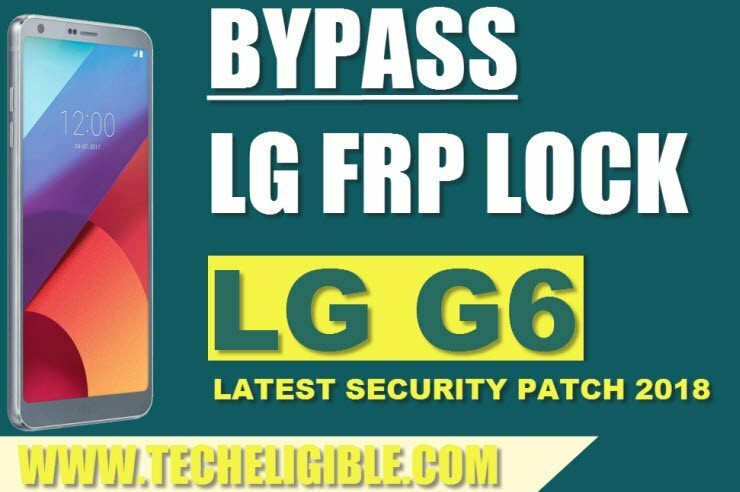 Follow this method carefully to Bypass Google Account LG G6, and also this method is for LG Q6 M700, but you may have to try one step multiple time to access LG G6 / Q6 settings, once we access to “SETTINGS” then we can easily install apk apps to add new gmail account, This method is for all LG G6 security patch level devices, whether your device has LG-H870 or LG-H873, you can try on your any LG-H87X series. 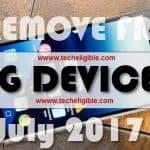 Warning: This post is only for DEVICE OWNER. • LG G6 LG-H870, Android 7.0, Security Patch Level 1st Jan 2018. • LG Q6 M700, Security Patch Level April 2018. • Nexus 9 tablet 7.1.1 June 2017 Security Patch. • Lenovo Tab4 (TB-8504F), Android 7. -Connect “Wi-Fi” to your LG G6 device. -Tap on “Accessibility”, after that tap on “Vision”, and then turn on “Talkback” from there. -Once talkback enabled successfully, you will get a popup of “Talkback Tutorial”. -Draw “L” on your screen same as shown in below image. -After that, you will see a popup of “Global Context Menu”. -After that, double tap on “Pause feedback” to suspend talkback. -Double tap on “OK” from popup. -Now tap on “Help & Feedback” (See below image). 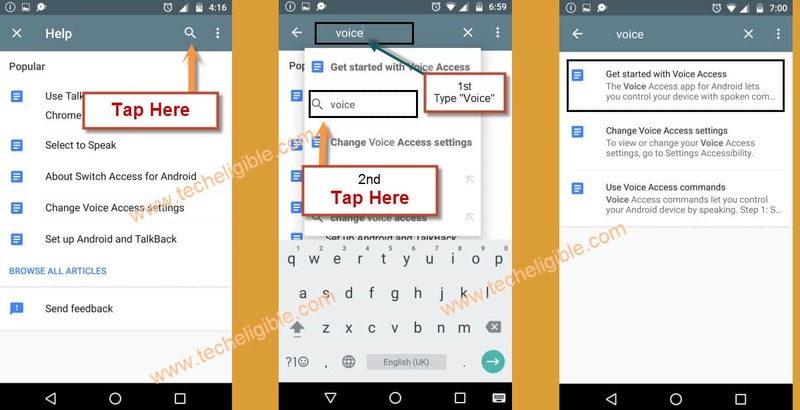 -Tap on “Search icon”, and type in search area “voice”. 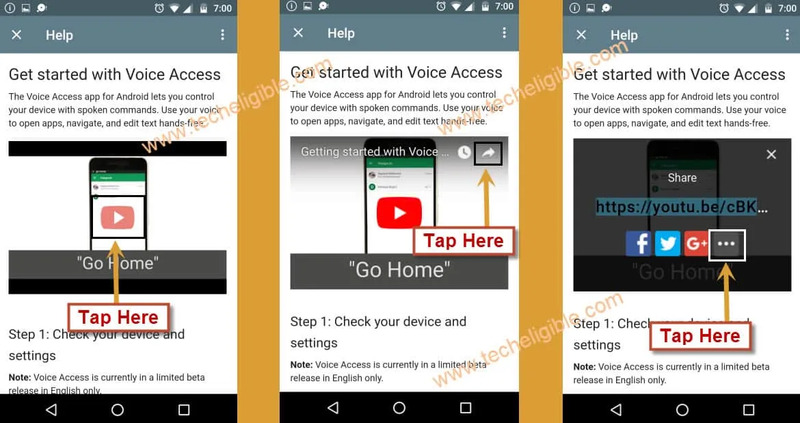 -Tap on “Get started with voice access”. -Now you will be redirected to the youtube video. -Tap on youtube video “Play icon”, and then tap on “Clock icon” from youtube video. -You will be redirected to “Google”. -Congrats, you have accessed to “Chrome Browser” now we need to download some frp bypass applications from there. -Type in search bar “Download FRP Tools LG Techeligible“. -Open most relevant search result same as shown in below image. 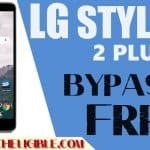 -Download from there these below applications to Bypass Google Account LG G6. -Once downloading finish, tap on “3 dots” on top right corner of your chrome browser. -Tap on “Quick Shortcut Maker” app to install. -You will get installation blocked popup, just tap on “Settings”. -If you see only “Wi-Fi” & Tethering Options, this is the hardest part, that we need to bypass. Remember: As you can see, we are not able to get complete settings, we are getting only “WiFi & Tethering” option in settings, so we need to fix this setting issue. -Go back to “Youtube Video” by tapping several time on back key. -Once you reach back to “Youtube Video”, tap on “Play icon”, and then tap on “Share Arrow”, after that tap on “3 Dots”. -Once you access to youtube, there is “Share Arrow” bottom of youtube video, just tap on that. -After that you will have several options there to share with, you need to select only “Messaging” option. -Once message window open, dial number “112”, on which you will send youtube video url. -Tap on “Send” button to send url on “112”. -After that, you will be able to see “Call” icon on the top of the screen, just tap on that. -You will be redirected to the “Testing” screen. -From there, tap on “Usage Statistics”, and then tap on “Back” arrow from left corner of the screen. -Now you will have again same incomplete settings screen. 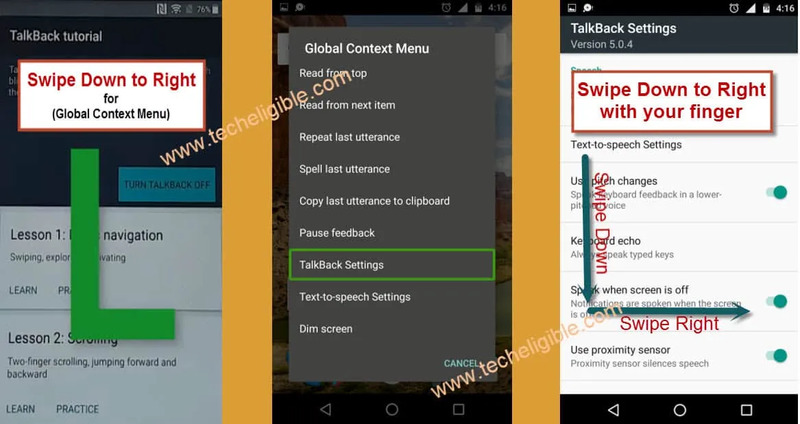 Step-1: After restart compete, you will have “Talkback Tutorial” screen, just tap on “Talkback Settings”. 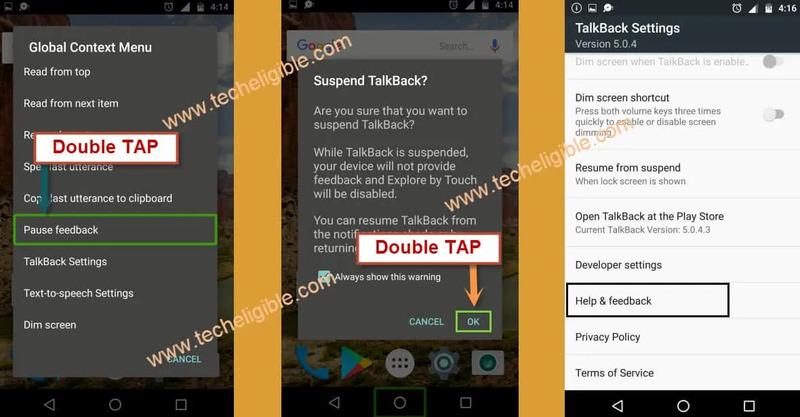 Step-2:To suspend talkback feature, we need to press both (Volume UP + Down) keys together until you get popup of “Suspend Talkback”, just double tap on “OK”. Step-3:Again tap on “Play icon > Share Arrow > 3 Dots”. Step-4: Now from bottom of “Youtube Video”, tap on “Share Arrow”, and then select “Messaging” option. Step-5: Dial “112” to send url of youtube video, and then tap on “Send” button to send the url. Step-6: Now tap on “Call icon”, and then dial code again *#*#4636#*#*. Step-7: Tap on “Battery Info”, and then tap on “Back arrow” from top left corner. -We hope, this time you would have successfully gotten “Complete Settings”. Note: If you are getting “Incomplete Settings”, same as we were getting above, so don’t worry, restart device again, and retry above steps again to get somehow complete settings. Remember: You need to retry above steps quickly as much as possible to get somehow “Complete Settings”. -Once you get “Complete Settings”, go down to “FingerPrint & Security”. -After that, tap on “Phone Administrator”. -Now tap on “Find My DEVICE”, and then tap on “DEACTIVATE”. -After that tap on “Unknown Sources” and then enable that unknown sources option from there. -From there, go to “Storage”, and then tap on “Explore”. 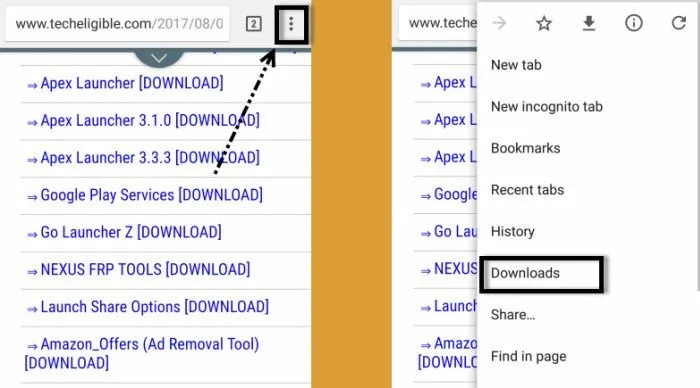 -Now go to “Download” folder, and there you will be able to see all your downloaded apk files. -Tap on “Nova Launcher”, and then tap on “Install”, after that tap on “OPEN” to launch Nova Launcher. -Now you will have some initial steps to complete to launch nova launcher successfully, just complete those steps by tapping on “Next and Apply”. -Now reinstall NOVA Launcher to access to your LG G6 home screen. -Once you access to “HOME SCREEN”, go to “Settings > Apps”. -Now tap on “3 dos” from top right corner, and then select “Show Systems Apps”. -Go to > Google Play Services > Disable > Yes. -Now go to “Google Account Manager”, after that tap on “Disable”, and then tap on “YES”. -Go back to “Settings”, after that go to “Storage” and then “Explore”. -Now go to “Download” folder, and then tap on “Google Play Services” app, then tap on > Next > Install > Done. Note: If your “Home Button” is not working, then go back to “Download Folder” and install “Nova Launcher” and open to go to “HOME SCREEN”. -From home screen, open “Google Play Store”, and then you will see it will ask you to “Add Google Account”. -Give any valid gmail account there to Bypass Google Account LG G6. -Once you added successfully, go back to “HOME SCREEN”. -Go to > Settings > Apps. -Now enable again “Google Play Services” and also “Google Account Manager”. 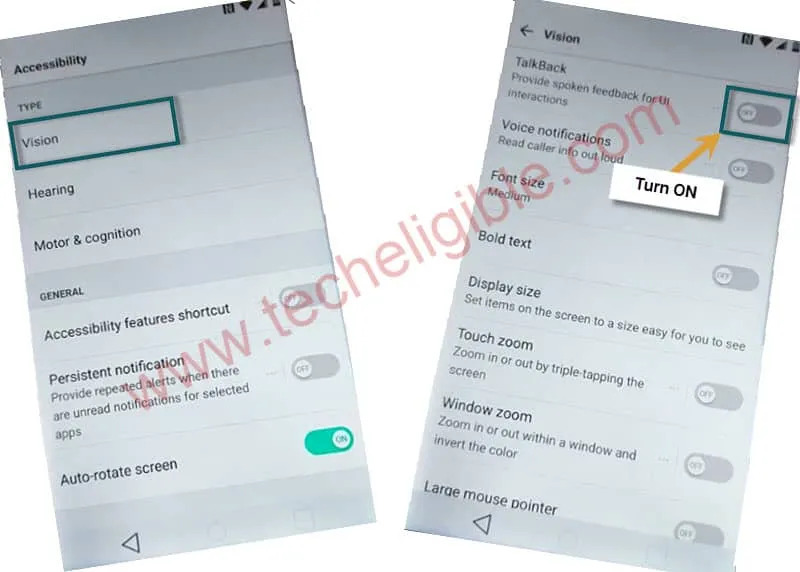 -Restart your LG G6 Plus, and then complete initial setup. Congrats, you have successfully Bypass Google Account LG G6. 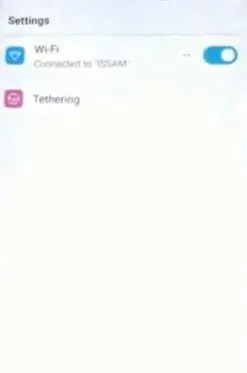 My LGV30 never shows the complete “settings page”, only the wifi and tether portion. How many restarts until the page is fully shown? When I dial *#*#4636#*#* nothing happens, is there a way to fix this? Nothing happens when I type in code *#*#4636#*#*. Could you please help me out? I am using an Lg G6. Thank you so very much. Will this work on LG G6 running Android 8.0.0 Build OPR1.170623.032 (June 2018 patch)? I just used this method for my old LG Artisto. Worked like a charm! Thank you for your assistance. Been driving me nuts for weeks! Worked on Lenovo Tab 4!! Thank you!! Code *#*#4636#*#* does nothing at all. I’ve gotten to the point were I have to disable the google play services but the option is grayed out. I’ve tried installing the one downloaded from this site but it still asks me for a synced account. Any ideas? I cannot play the play button to youtube. Whyyy? ?